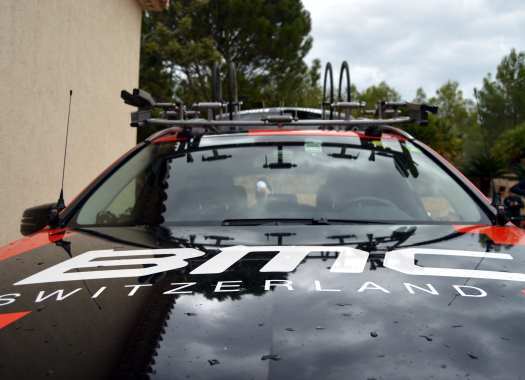 CCC Team, currently known as BMC, has signed Kamil Gradek. The Polish rider will step up to the WorldTour after spending one year at the ProContinental CCC. The rider's palmares includes victories in races like the Tour of China I and the Ronde van Midden Nederland. "We are pleased to welcome Kamil Gradek to CCC Team in 2019," said CCC Team's general manager Jim Ochowicz. "Kamil has a lot to learn and will gain valuable experience when he makes the transition to the WorldTour level. He will be a valuable domestique and we hope he can take opportunities for himself as he continues his development. "Kamil has shown potential in the classics with a tenth at Nokere Koerse this year and although he will make his debut with a WorldTour team, he has already raced some of the WorldTour one-day races including Cyclassics Hamburg and Rund um den Finanzplatz Eschborn-Frankfurt. We look forward to seeing what Kamil can do with this opportunity next season." Gradek looks forward to riding at the WorldTour level. "It has been my dream to ride for a WorldTour team and now this dream is coming true," he explained. "To compete at the highest level of races and with the best riders is what I have always wanted to do, so I am very excited and I can't wait for the upcoming season. To be in any WorldTour team is something wonderful, but to be in a Polish WorldTour team will be very special so, I'm happy to be part of this project and I have a positive outlook to the future. "I know that I can learn a lot from the experienced riders in the team and I definitely want to develop more as a cyclist and to be helpful for my teammates. I will do my best and believe I will be with the right team to achieve this. I would like to focus on some of the classic races, but I also want to take advantage of the team's experience and expertise and improve my time trials as well."